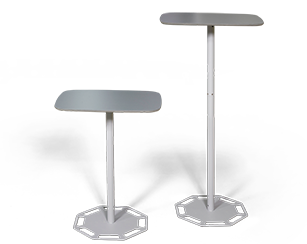 With Portable Table you will get two tables in one. Just switch between bar height and sitting height depending on the situation. 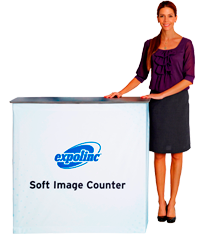 A portable counter with low weight and the graphic made of fabric. Robust design and includes an internal shelf. 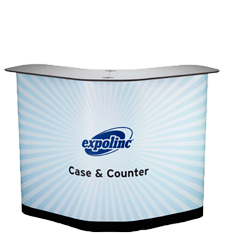 An exhibition counter with ultra-stable design for product exposures and demonstrations. Quick and easy set up with panels already mounted. A transport case that converts into a counter in just a few seconds. 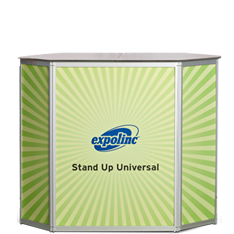 Holds a complete Pop Up stand. Robust with steel wheel housing. A robust and stable transport box that can be converted into a counter. Easy to transport and fits in most cars.